Ball joints, Tie rod ends, Bushings, Hub bearing, Control arms, Bushings, Struts, Shocks, CV shafts. Brake pads, Rotors, Calipers, ABS sensors, Speed sensors. 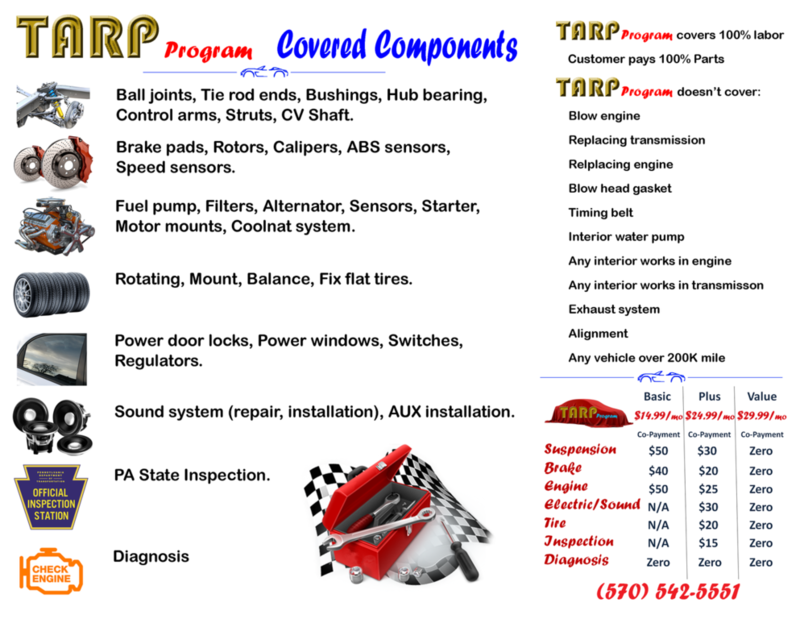 Fuel pump, Filters, Alternator, Sensors, Starter, Motor mounts, Cooling system. Power door locks, Power windows, Switches, Regulators, Actuators, etc. Repair, Installation, AUX, backup camera, DVD installation. Rotating, Mount, Balance, Fix flat tires. 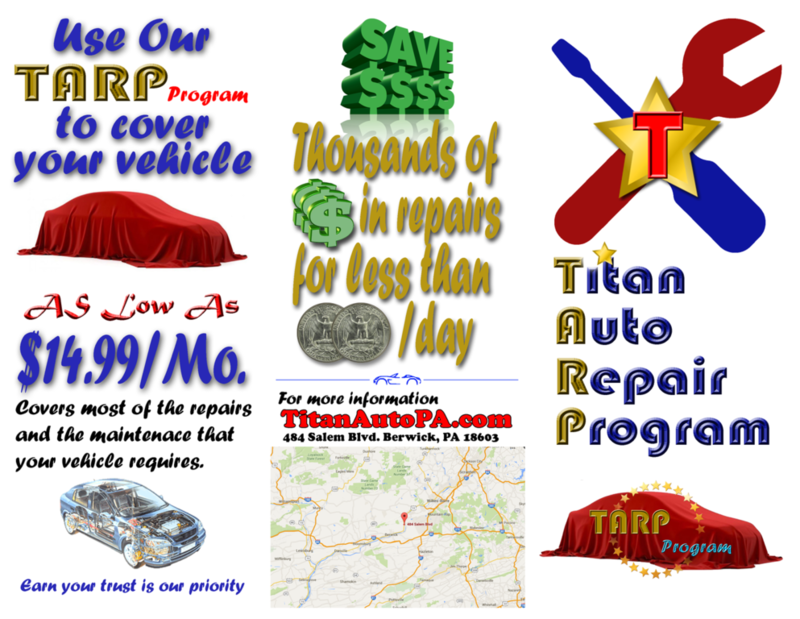 Any vehicle sold within our inventory is eligible for TARP Program at the date of purchase or within 30 days after purchase date. Walk-in customers' vehicles are welcome and have to be inspected in our shop for eligibility. This inspection is 100% FREE.